So, one of my best friends finally started a blog. After I pestered her for MONTHS AND BEYOND. It's not your normal run-of-the mill blog. It's only for contests and challenges — meaning she hosts prompts contests and challenges and you get to create ANY KIND OF ART YOU WANT. Use your imaginations and your fingers and it counts! So, what are you waiting for? This blog is FOR YOUR INSPIRATION. And I may have something over there waiting already . . . yes, I won the first contest with a poem. And though I think Lauren hyped it up a bit, I do really like it myself. To read my poem, Split, Not Broken check out Lauren's blog! And make sure to follow and participate. And that's it for this lovely Saturday morning. - thank the person who tagged you - Thanks, Gray! The main one is Tury. When I was little people would ask my if I had a nickname. I told them and they'd call me Terry which for some reason I hated so much. So I started saying, "No, I don't. 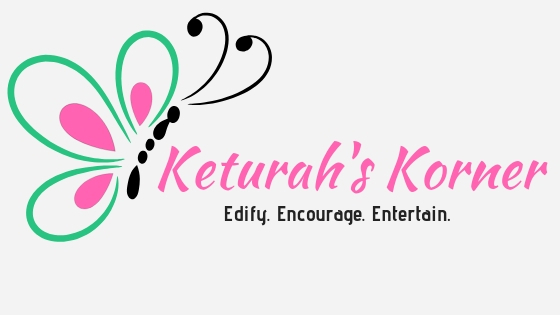 My name is Keturah." But then people were like, "I'll just give you a nickname." So, I have quite a few of those now, the main ones being Kat and Ketty. People also wrongly call me Katherine and Katrina. Dark brown, past my waist. Weird colors . . . mostly hazel, sometimes brown. Violet, Klaus, and Sunny Baudelaire had been rowing for hours, baby Beatrice sitting between the three of them. Long ago the boat’s sails had been torn by terrible winds, hence they were forced to use the last of their strength to paddle. But they weren’t thinking of how their arms ached, or even of how they’d love a good meal put inside their stomachs. No. All they could see was the house before them. Sunny understood the baby the best, having just recently exited babyhood herself. But Sunny did not answer the baby, for she did not know what to make of the sight before her. “It looks like Aunt Josephine’s house,” Klaus whispered, adjusting his glasses. “But... we saw it destroyed.” Violet whispered. All of my lovely blogging friends, many people I know in real life have been asking for this post. So this is for them. But if you so desire, this post may be for you, too. Because everyone deserves to enjoy sourdough. In fact, all lovers of sourdough, this post is for you! Everyone else can go starve. Story Time Many of you may know that I lived in Tennessee for sometime, doing office work for a ministry called Above Rubies. Mrs Campbell, the woman I worked for and lived with, made the most delicious sourdough I ever had. I decided I wanted to learn to make it just as well - I had previously tried, following the THM recipe, but I couldn't get my starter to turn out. Living and watching Mrs Campbell, everything made much more sense than the book. And so when she went away on a trip and she asked me to take care of the sourdough I was excited for the opportunity! Finding the Magic is an adorable retelling of Beauty and the Beast set during one of my favorite time periods, WWII. I wrote a review on Goodreads. But basically—the book was beyond warm and tender and captivating and I'm thrilled I had the honor to beta read it. And it was such a lovely short read, too. Anyways, this story is being published, and that means there is going to be a gorgeous cover . . . But first, what is it about?